Crush Your Cravings for sugar or carbs and get help to rebound after you blow your diet. 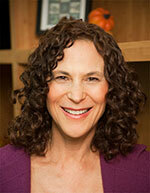 Note from Connie: Perhaps you’ve heard of this up-and-coming trend of life coaching? If you haven’t, I invite you to learn about it, because life coaching is an empowering, life-changing process that’s earned kudos galore. I invited the VP of the Institute for Professional Empowerment Coaching (iPEC) to tell you all about it. over the counter viagra Full disclosure: I’m now presently enrolled in the iPEC program myself — in fact, I became a life coach in April, and I’m now very high on this effective tool. FYI, I even recently began working with my own life coach and I’m finding this a remarkable process. I invite you now to check out Luke’s fascinating article. If you’re like many people, you may feel that you could write a book on how not to succeed at dieting, exercising, managing your time and achieving your goals. Of course, you know exactly what to do to lose weight—in fact, you might be one of millions, who’ve lost weight—and then gained the same weight back many times. Likewise, you know what it takes to get a svelte, fit body. And you know specifically how to pull off your many other projects. What’s more, you know that you’d feel great, look great, gain self esteem and be full of confidence if you succeeded at your dreams and goals, right? So then why aren’t you accomplishing them all? Is something missing? If you’re not where you want to be in your life in your eating habits, exercise patterns and other components in your life, then it may be time to consult an expert. “What kind of expert?” you may wonder. The answer might surprise you, because the only expert that can help you is YOU! “Wait a minute,” you might be saying, “I’m not an expert—I’m not a dietician or exercise physiologist or time-management consultant!” That may be true, but you are an expert in what really matters in order for you to truly achieve your goals. • Only you know what really motivates, drives and encourages you. • Only you know how great life will be like for you when you reach your goal. • Only you know why that’s important to you. • Only you know what’s blocking you from being where you want to be. You see, once you make the connection between what you do on a day-to-day basis and your goal, then success will follow almost effortlessly. Although you’re the expert, as you just learned, most people could benefit by hiring a powerful life coach to help reach the wisdom inside them. Although life coaching is rising in prominence, many people don’t really understand it. That’s not surprising since it’s relatively new to most people. Coaching came into the limelight in mainstream America mostly over the past decade, even though it’s been around in different forms for nearly a century with the likes of Napoleon Hill, Andrew Carnegie and even Thomas Edison, who all used early philosophies and skills that later became incorporated into coaching. In fact, when many of us think about coaching, we conjure up images of the kid’s soccer coach or of baseball’s Joe Torre or or football’s fiery Bill Parcells. Life coaches were even featured on The Simpsons. But still, many aren’t quite sure what it really is. Life coaching, as I’ve discovered by working with a coach and becoming one myself, can produce truly amazing, exciting results. Better understand and unleash your inner drive and purpose. Identify and find within you the solutions and answer you seek. Creatively plan and implement steps to achieve your goals. Do what you say you’ll do by holding you accountable. Learn simple skills that can improve your relationships. Examine the “rules” you’ve been living by and to rewrite those rules into ones that work for you. Match your inside world to your outside world so that you reach the success you most desire. Raise your consciousness so you can effortlessly achieve sustainable results. Want to make a change in your life or career. Feel something is holding you back. Need clarity around where you are headed. Want to speed up and achieve even greater results than you’re seeing now. Ultimately, life coaching is an investment in yourself—one that will pay off with dividends of better health, and a calmer, more balanced life. Not only is life coaching a life-transforming process and a wonderfully rewarding profession, but it gives you a powerful skill set that you can use with people from all walks of life. Coaching skills make you a more confident, powerful, influential, energetic and inspiring leader. Whether you presently lead a family or a company, patients, students, friends or co-workers, coaching can help you have a profound impact and help them in ways that will change their lives. So, what impact do you want to have? D. Luke Iorio, PCC, AELC, is vice president of the Institute for Professional Empowerment Coaching (iPEC), which, since its founding in 1999 by Bruce D Scheider, MCC, Ph.D., has become a leader in coach certification training and in the field of human potential and leadership development. Through intensive weekend programs and a certification course, iPEC creates the leaders of today and tomorrow. To hire or become a life coach, business coach or executive coach or to find a powerful personal or leadership development program, visit iPECcoaching.com or call 866-72COACH. buy now Note again from Connie: Again, I highly recommend life coaching as a powerful, fun way to move you forward in your life, overcome obstacles and so much more. If you’d like to become a coach yourself, you could attend live training from iPEC in any of 11 cities, including Boston (MA), Chicago (IL), Edison (NJ), Los Angeles (CA), New York (NY), Portland (ME), Providence (RI), San Jose (CA), San Juan (PR), Tampa Bay (FL) and Washington D.C. If you have questions about life coaching or would like to get an initial complimentary session, please contact either iPEC or me. Get Your FREE Cravings-Crushing, Quick-Start Guide! http://trustedtabletsonline24.org/ trusted tablets Do your cravings make you frustrated, frazzled and overweight? https://conversionfanatics.com/healthandwellness cheap generic viagra Get Your FREE download now to Crush Your Cravings, starting today. This fun, fascinating, science-based, Cravings-Crushing, Quick-Start Guide will whisk you away from temptation for sugary, salty, fatty junk non-foods and and into the glorious, delicious, liberating world of self-control. Welcome to the Cravings-Crushing Community. Please tell us here, on this blog, which of these tools you like best. Your email address is safe with us. We promise to never share or sell it. Does this sound like you? "I blew my diet!" you wail... Enough already! Are you fed up with your Crazy Cravings for cookies, chips or other "treats" chasing you and then pouncing on you like a ravenous lion? I'm here to help you Claim Calm Control, shed those annoying pounds, and Rebound After Relapse™. ...Why listen to me? Because I've been where you are. After my mother angrily, abusively died, I blew my diet big time -- I ate tons of carbage, gained 21 pounds, and was trapped in Weight-Gain Shame. But I also became intrigued... okay, obsessed! Why do people blow their diets? While slimming down again, I exhaustively researched the subject. Now I'm back with FEPPP™ (fast, easy, proven, powerful, portable) tools to help you get the body you seek. 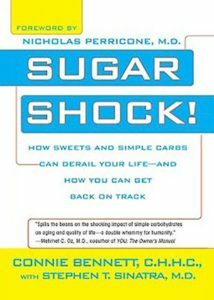 I'm author of Sugar Shock (Berkley Books) and Beyond Sugar Shock (Hay House). My next book is I blew my diet! Now what? Join me on my Gab with the Gurus Podcast, which will have new episodes starting in April. I invite you to get the inside scoop about this Sugar Shock Blog, which had its origins on June 7, 2005 , Learn about my missions here . Beginning December 1, 2009, the FTC requires bloggers to disclose whenever there could be hidden interests or unspoken biases related to recommendations. NEED TO UPDATE THIS INFORMATION. For instance, per the FTC rules, if I interview someone and they grab the bill for lunch, I would need to disclose this. Ditto if I use an Amazon link that gets me 8 cents instead of an Amazon link that gets me 0 cents. If someone gives me a comfy t-shirt with a logo and I wear it in a photo, same deal. We need to include disclaimers. Please feel free to use the text and images on this page with proper attribution. There is no reason why each blogger should have to reinvent the wheel. You'll get redirected to the Guide AND get an email with a download link. Enjoy! "Oh no! I blew my diet!" Does that sound like you? You're in good company. Get help, hope and insights on my Gab with the Gurus podcast and next book, "I Blew My Diet! Now What?" Why am I taking this new direction? It picked me! That's because, oops, after eating cleanly for 14 years, penning two bestselling books, Sugar Shock (Berkley Books, 2006) and Beyond Sugar Shock (Hay House, 2012), and coaching thousands of people worldwide to Sweet Freedom™, I blew my diet big time. I packed on 21 pounds and plopped in Diet-Shameland™ after a bittersweet year with my dying Mom. Does that sound like you, too? Join us for new blog posts on Start-Again Mondays and Follow Fridays. Please connect, too. Watch My Story & Catch the Fun Conclusion! 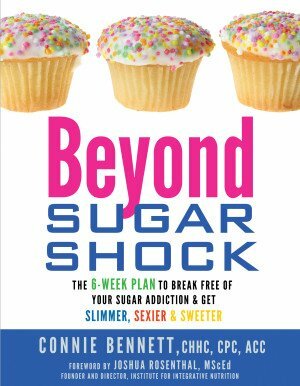 Connie Bennett is a former sugar-addicted journalist, pioneer in the sugar-education movement, author of the bestselling books, Sugar Shock (Berkley Books) and Beyond Sugar Shock (Hay House), a personable media guest, sought-after life-and-health coach, and in demand-charismatic speaker. She is now dedicated to helping frustrated people easily, quickly, powerfully Crush their Cravings and Rebound After Relapse so they can shed weight, reclaim their power, and become Calm, Slim, and Strong™ after a major life challenge such as a divorce, the death of a loved one, or another tough time. ©2019 Blog from Connie Bennett, The Rebound-After-Relapse Ninja™. All Rights Reserved. All news, commentary, tips, information, statements, and other postings are for information and entertainment purposes only. The content provided on this Sugar Shock Blog is NOT intended to replace, conflict or substitute for professional medical advice and prescriptions from your physician or other health care professional. You should NOT use information from this blog to diagnose, treat or cure a medical condition. Blog owner cannot be held responsible for any adverse effects or consequences resulting from the use of any information included here. If you have a pre-existing medical or psychological conditions or are now taking medication(s), consult your doctor ASAP before adopting any changes to your meal plan. By visiting this Sugar Shock Blog, you're agreeing to all these terms and conditions. Feedback and suggestions are always welcome. Please note that all comments are moderated. By posting a comment, you agree that it may be edited for spelling, grammar or clarity. Obscene or otherwise inappropriate comments will be deleted. Spamming and flaming are not allowed. Thank you for your cooperation. To reprint any posts, please provide the post in its entirety and make sure to include the following information: Connie Bennett is author of the bestselling books, Sugar Shock, which has been praised by Dr. Mehmet Oz, and Beyond Sugar Shock, which has been endorsed by Dr. Wayne Dyer and many other experts. 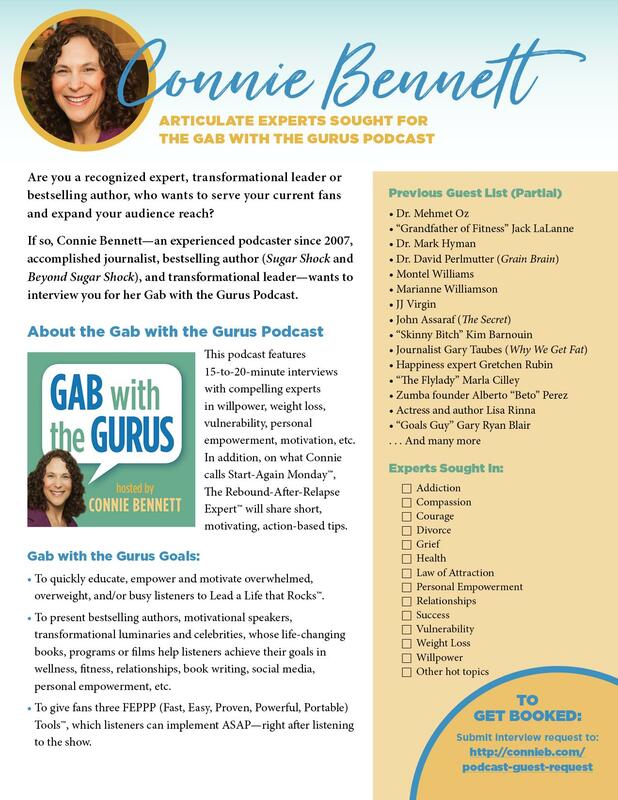 Connie is a certified life coach, a certified health coach, an experienced journalist, and host of the Gab with the Gurus Radio Show. 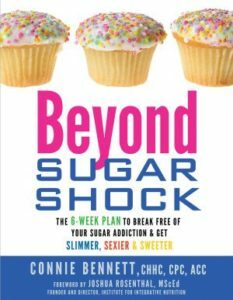 A former sugar addict, Connie quit sugar on doctor's orders in 1998 and now helps people worldwide since let go of their dangerous, potentially deadly habit.